On Sunday, August 13th from 12-2pm, join Left Coast Writers® Live on FCCFREE RADIO’s popular show, Lilycat on Stuff. Lilycat’s guest on Sunday will be Maxine Rose Schur. Maxine Rose Schur is a children’s book author and travel journalist. 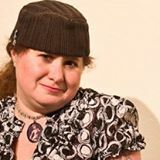 Her essays have appeared in numerous publications including The Los Angeles Times, Christian Science Monitor, San Francisco Chronicle, Insight Guides, Salon.com, Jetsetter, Escape and travel essay anthologies by Traveler’s Tales and Random House. She has twice won the Lowell Thomas Award given by the Society of American Travel Writers. Places in Time recounts the author’s 18-month journey around the world including places never before seen by a traveler. With little money but boundless enthusiasm, her goal was to travel not just to understand a place, but its people. Whether camping in the center of Paris, dangling off a Panamanian tramp steamer or hitchhiking across Australia, Maxine Rose Schur’s stories tell of exuberant youthful adventures and heartwarming encounters informed by the life knowledge gained with the accumulation of years.